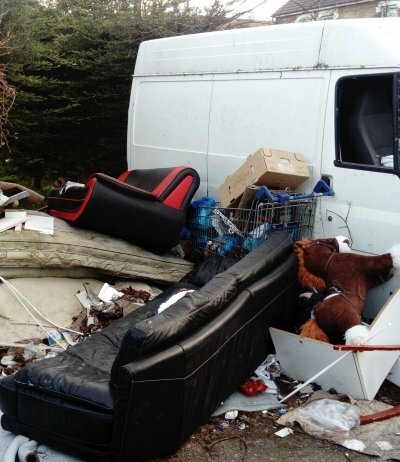 A brazen house clearance fly-tipper has been handed a 12-month prison sentence at Camberwell Green Magistrates’ Court. George Smith (40) was caught not once but three times on film using tipper trucks to dump rubbish in Croydon streets. Smith had one tipper truck seized by officers from the London Borough of Croydon. But he persisted in his fly-tipping with a second vehicle which was also seized by the council. The council later crushed both vehicles. Miguel Santes told the court that he had hired Smith to dispose of rubbish, paying him £80 to do so. But when Smith returned to take more rubbish, Santes demanded to see a licence. When Smith was unable to produce one, Santes declined to use his services any longer. Smith subsequently faced four charges of dumping, one of operating without a licence and a further breach of the Environment Act. He had been filmed dumping in an alleyway running between the backs of houses. The rubbish had included waste timber, builders’ rubble, cookers and broken beds. Hidden camera catches plumber fly tipping red-handed.